While your child is in the hospital we will work closely with you to create a nurturing experience and compassionate environment while providing excellent medical care. 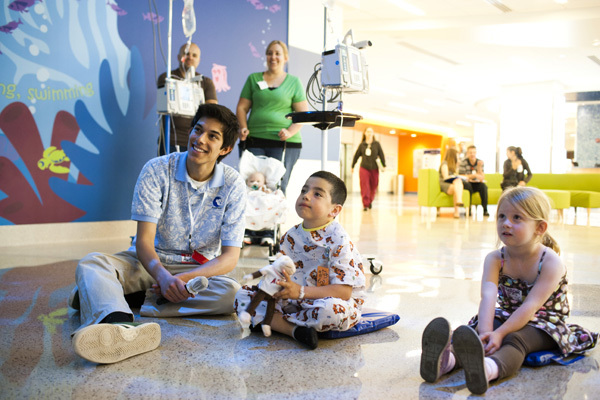 Your presence in the hospital is very important to your child and to us. We will be here to answer your questions and help you play an active role in your child’s care and experience at CHOC. This guide is designed to provide you with all the information you need while at our hospital, including information about getting oriented to the hospital environment, what to expect during your stay, a comprehensive list of hospital services and resources, and how to plan for discharge. While your child is in the hospital, we will work closely with you to create a warm, compassionate environment while providing excellent medical care. As a parent of a child at CHOC, you are an important part of the team working to make your son or daughter well. You will encounter a lot of different people, all with an important role in making sure you are comfortable and safe. Learn more about visiting hours, parking information, family amenities and the different people you may meet during your stay. As a parent and caregiver, you are an important member of the planning team. 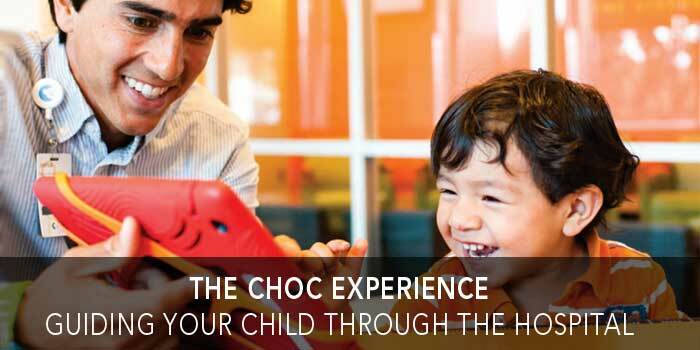 During your stay, your doctor and the staff will work with you to help you plan for your child’s discharge from CHOC starting at the very beginning of your stay. Provided is a checklist of important things you should know to prepare for going home. Start using this tool right away to help you be prepared for your child’s discharge. Don’t be afraid to ask questions and to reach out to anyone on the team for clarification or concerns. CHOC Link is your online connection to your child’s medical information. This secure website lets you send a message to your child’s physicians, view lab results, request and cancel appointments, renew prescriptions and more. CHOC Link is available for parents and legal guardians of patients who are under age 12 and for patients who are 18 and older. To sign up, talk to your child’s care team. Use these printer friendly downloads to help track details about your child’s stay. CHOC has taken a number of steps to make sure that your child is in a safe, secure environment at CHOC. The hospital constantly monitors and tests a wide range of security and safety measures. You may hear overhead announcements for drills and other messages. Please notify your nurse if you have questions. CHOC maintains a coordinated emergency response plan to respond both to internal and external emergencies. In case of an earthquake, keep calm. Patients should stay in bed. A staff member will arrive as soon as possible to offer assistance. Keep the over-bed table and any shelving clear of heavy objects that may fall. TVs have been seismically anchored to prevent them from falling. All windows have been treated with an earthquake-resistant film to prevent glass from shattering and causing injury. Plant Operations or Biomedical Engineering must inspect and approve the use of personal electrical equipment in patient care areas. For your protection and to comply with fire prevention standards and local regulatory agencies, CHOC performs frequent fire drills. If a Code Red is announced during your child’s hospitalization, please remain calm and stay in your room. A staff member will arrive shortly with additional information or assistance. If necessary, a staff member will move your child to a safe location. Do not use elevators during fire drills or when the fire alarm is sounding. Car crashes are a leading cause of death in the U.S. for children 1-14 years of age. They are also a major cause of permanent brain damage, epilepsy and spinal cord injuries. Many of these deaths and injuries can be prevented with the proper use of car seats. California state law says that children must ride in the back seat in a child restraint until they are 8 years or 4’ 9” in height. The law also requires that children over 8 years or 4’ 9” in height must ride in a properly fitted seat belt. If you require education or assistance in properly using your child’s car seat prior to discharge, please have your child’s nurse contact our certified child passenger safety technicians for an appointment. Based upon your child’s diagnosis, you may need to participate in CPR education prior to discharge. Classes are offered in English and Spanish throughout the week. If you need to participate, your child’s nurse will sign you up for a class with our American Heart Association certified Basic Life Support Instructors. Smoking is not allowed in the hospital or other CHOC offices, buildings and vehicles. Smoking is not permitted in the direct path to building entrances or van doorways. Contact a staff member for information on designated smoking areas. CHOC has always striven to provide safe quality care to our patients. With the increasing national and public focus on patient safety, CHOC participates in multiple initiatives to remain innovative in protecting our young patients from medical errors. Learn more in our patient safety statement. Be an advocate for your child. Don’t be shy. Ask questions about your child’s care, raise safety concerns you have, or ask the caregiver to double check their chart before they act. Write down your questions to make sure the caregiver addresses them. We’re children’s experts, but you know your child best. Share unique things about your child that may be importance to your child’s overall care. Wash. Wash your hands and your child’s hands. Hand washing prevents spread of infection. Ensure they wash too. It is okay to remind doctors and nurses about washing their hands before working with your child—even if they are wearing gloves. Keep skin clean and dry. Especially if your child has an intravenous catheter (IV) or a wound, keep the skin around the dressing clean and dry and let your caregiver know if it gets wet or loose. Watch for red or irritated skin. If you notice any new redness or irritation on your child’s skin, notify your child’s caregiver. Ask what steps can be taken to prevent harm to the skin. Know the meds. Ask for the names of the medications your child is receiving and why they are being given. Caregivers will check your child’s ID band before giving a medication to make certain the correct medication is being given. If you don’t see this, ask staff to double check that the medication is for your child. If you have concerns about your child’s treatment, please Speak Up! Ask your caregiver to Stop and Listen. If you are still uncomfortable about your child’s condition, dial 15433 to activate the Rapid Response Team. We believe everyone deserves special treatment and high quality health care. You and your family have rights and responsibilities under California law. We want you to understand and use these rights and responsibilities. If for any reason you do not understand or you need help, we will provide assistance, including an interpreter. Available in English and Spanish. CHOC Blood and Donor Services support CHOC patients and families in a variety of ways. The program provides onsite blood donation for the children at CHOC. Please call (714) 509-8339 for more information or to schedule an appointment. CHOC Children’s Foundation exists to generate community awareness and resources for CHOC Children’s and CHOC Children’s at Mission Hospital. Family members and friends of our young patients often seek ways to give back to the physicians, nurses and staff as a way of saying thank you for the excellent care their loved ones received at CHOC. BECOME A DONOR. You can make a personal and dramatic impact through a gift to support CHOC. As a nonprofit organization, we look to the community to partner with us to address the needs of our children through compassionate, innovative medical care and treatments, today and far into the future. TELL A FRIEND. Share your experience with the community and let them know about the wonderful care and treatment your child received at CHOC. Miracles take place at CHOC every day and it’s important for the community to understand the high quality of pediatric medical care that is available to them right here in Orange County. BE AN ADVOCATE. Every child needs someone to speak on their behalf and defend what is in their best interests. Reach out and express yourself with elected officials to promote legislation that will generate support and awareness for children and pediatric health issues. JOIN. With a CHOC Guild for nearly every region in Orange County, there is no shortage of opportunities to support CHOC through fundraising programs and events in your own community, meet your neighbors and make new friends while you’re at it. 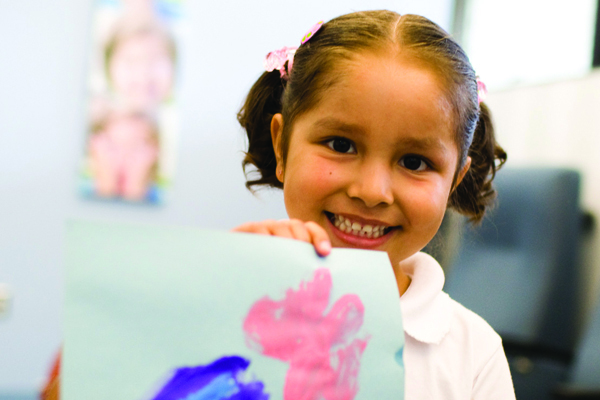 The CHOC Children’s Foundation helps to provide vital funding for care, education and research. For more information about ways you can help support CHOC, please call the Foundation at 714-509-8690. We invite you to join our community. Follow us on your favorite social network. Nurture, advance and protect the health and well-being of children. To be the leading destination for children’s health by providing exceptional and innovative care.